- schooling is still the way for people to make a living; so that, compulsory education should be good for every student. - every student is able to learn and schools should be safe places for learning. SCHOOLS FOR ALL intends to offer ideas, resources and examples for students to imagine and develop schools which meet the initial assumptions. SCHOOLS FOR ALL is an optional course (6ECTS) integrated in the study plan of the GRADO EN PEDAGOGÍA (4th year, second term). It is related to EDUCACIÓN INTERCULTURAL (4th year, first term). 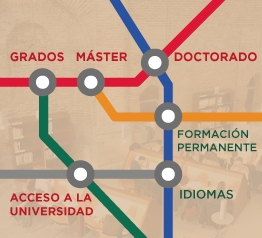 - To manage quality, improvement and innovation processes in educational contexts. - To work in a collaborative way. - To use in an effective way the tools required to build knowledge for succesful societies.